Upon crossing our threshold you will notice immediately that while we may have some familiar equipment, we are not just a Pilates studio. What we are is a multidisciplinary personalized service, rich with resources, solely dedicated to your health and growth needs. For years Pilates was hidden in the dance world. Dancers are among the most agile and fit athletes. They recognized the benefits of the Pilates method through improved conditioning and injury prevention. In the last 20 years the popularity of Pilates has exploded. Today, five million Americans practice Pilates, and the numbers are growing. Devotees include dancers, athletes, physiotherapists, fitness trainers, health care providers and other professionals who appreciate the significant role the Pilates methodology plays in restoring and maintaining good health. All our teacher consultants are certified and meet stringent continued education requirements. Each client will be given an individualized program which progresses with them. At Inspiring Motion Laguna we are committed to helping you attain your personal health and wellness goals. Feel free to call us to visit our studio. We would love to introduce you to Jennine, Jennifer, Anita, Patty, or Vicki, our Pilates teachers. To book your session, please call (949)283-1055 or you can book online. GYROTONIC® and GYROKINESIS® principles were developed by Juliu Horvath a former professional dancer. These principles form the foundation for this fluid approach to maintaining health and well-being. The principles have also succeeded in repairing bodily injuries which so many of our clients attend Inspiring Motion Laguna to address. Utilizing a pulley system GYROTONIC® machines work muscles and joints through their entire range of motion providing our clients with a balance of flexibility and strength, breath-movement coordination, core strength, and mind-body connectivity. Anyone can perform GYROTONIC® and GYROKINESIS® methodologies regardless of age. 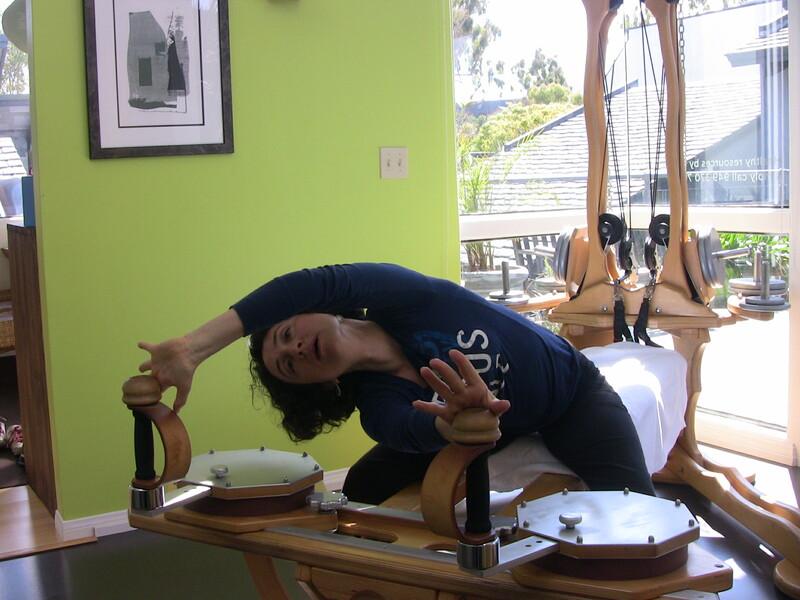 Please call us to visit our studio and experience the GYROTONIC® tower first hand, or call us to introduce you to Jennine, Jennifer or Vicki, our professional GYROTONIC® teachers at (949)283-1055. BODYFIX METHOD® Bodyfix Method® is an integrative system of simple, prescriptive exercises offering relief from chronic pain. People who have tried everything else without success, from drugs to surgery, will find permanent relief with the Bodyfix Method® program of therapeutic exercises. A personalized at-home program of therapeutic exercises. Each subsequent follow-up BodyFix Method® session will include a progress assessment of your postural alignment since your last visit, hands-on assists, and an updated personalized at-home program of therapeutic exercises after each visit. Each session and exercise program will evolve with your progress. Please call our studio to book a BodyFix Method® session with Anita Goodkind at (949)283-1055.